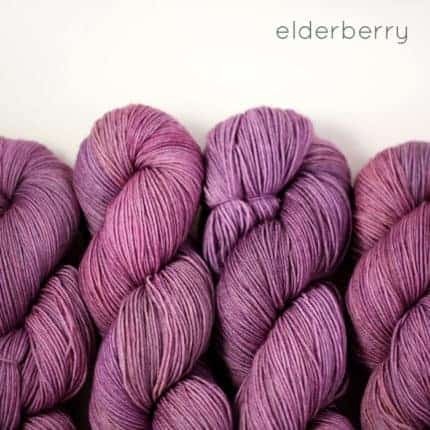 Our newest sock pattern is available now on our website and on Ravelry! 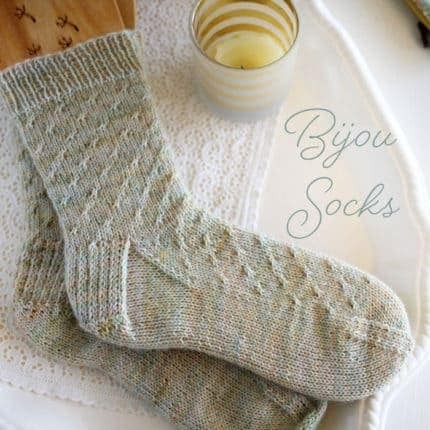 Bijou Socks is a simple and elegant sock pattern that I’m pretty sure is going to become my go-to sock pattern. One of the definitions of “bijou” is jewel or trinket, small and elegant. 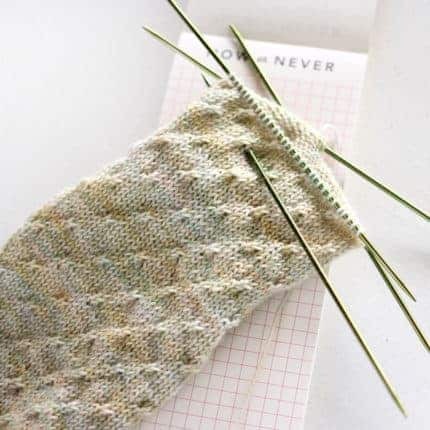 That’s how I think of the little stitch pattern in these socks. It’s just a little trinket, but it makes for a subtle and elegant pattern. 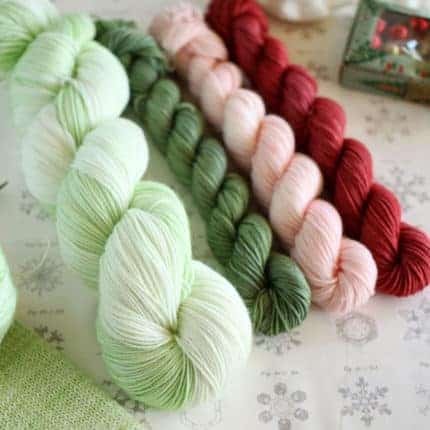 I had so much fun with my first holiday-themed sock set last year, I decided to do it again this year! And I am making a few changes this year. Mostly in the “more choices” category. 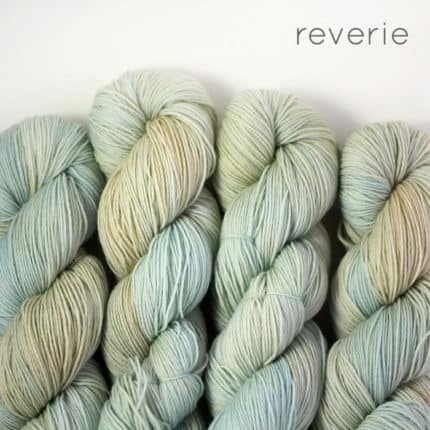 • Order the “classic set” – A full skein of the main color and a coordinating mini in 1 of 3 choices. 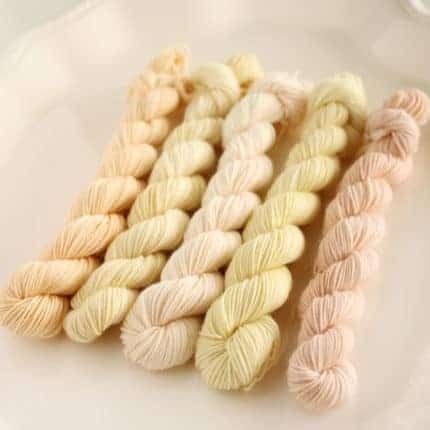 • Order the “deluxe set” – A full skein and 3 minis – one of each color. 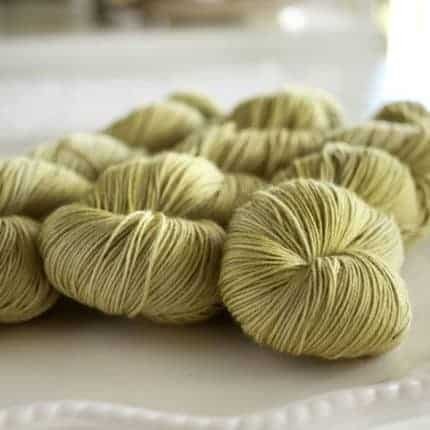 • Order the “skein only” – One skein of the main color and no mini. 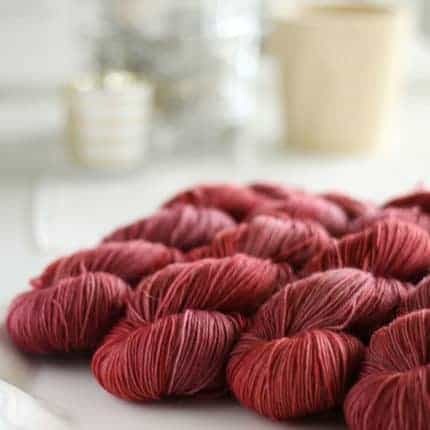 • Order the “minis only” – A 5 mini skein set with the main color, three minis and an extra color. 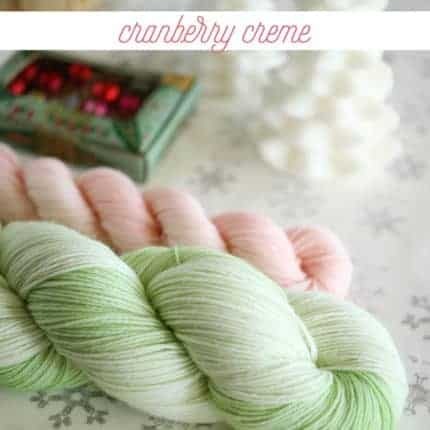 The theme this year is Christmas Sweets and the main color is Creme de Menthe on Sojourn Sock. 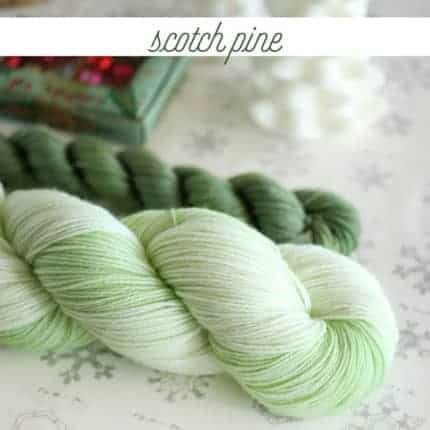 It’s a very subtle microstripe in a yummy mint color. 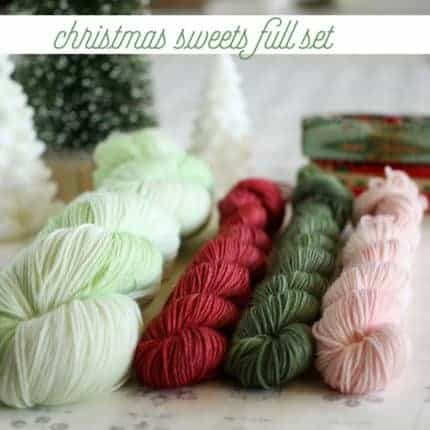 The mini colors are Cranberry Creme (pink), Red Velvet (red), and Scotch Pine (green). 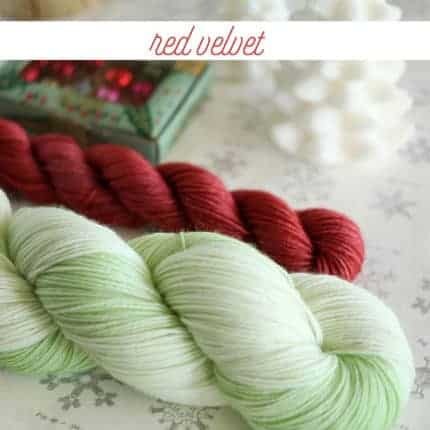 The full mini skein set will include Creme de Menthe, Red Velvet, Cranberry Creme, Scotch Pine and Tinsel (silvery gray) – each on a 20g skein of Sojourn Sock. I’ll be taking the pre-orders from now through Thanksgiving weekend (November 25) with the orders shipping out on Wednesday, December 5. That’ll give everybody plenty of time for a holiday cast on! There are a limited number of sets available, so visit our website to order now! 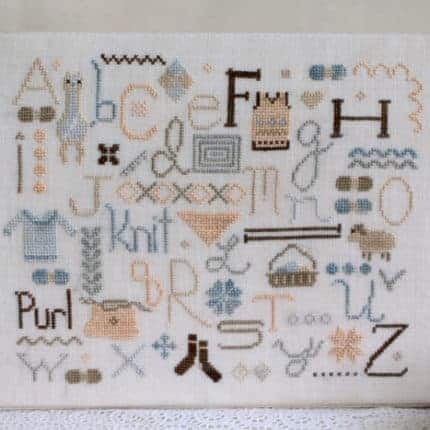 Stitch your way through the knitter’s alphabet from A to Z! I had a lot of fun designing and stitching our newest release, The Knitter’s Alphabet. First, there’s the adorable alpaca and the sweet sheep. Then there’s the Fair Isle vest and the yoke sweater. 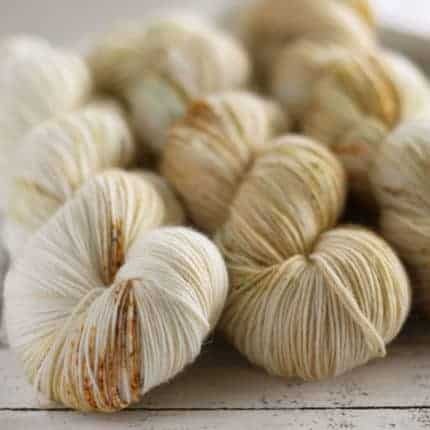 Plus, there’s yarn and needles…and baskets…and projects bags…and socks! I admit I also used my favorite colors — the “quiet colors” — as my color palette. 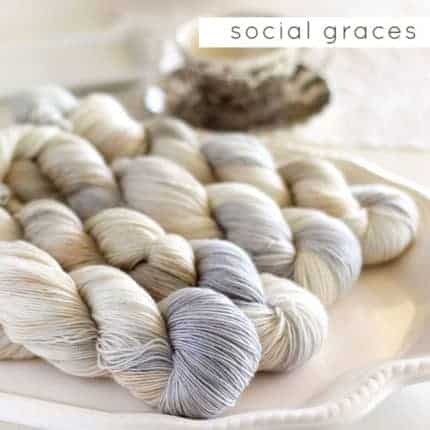 Soft grays and blues mixed with creams, beiges and soft browns, plus a little chocolate for oomph. Then I did a modern, clean and simple finish by wrapping it around a painter’s canvas with a deep edge. All in all, I love it! I think one of the things I love about samplers like this is how you can change how it feels by changing the colors you use. I’m always excited to see what colors you choose to make it yours. 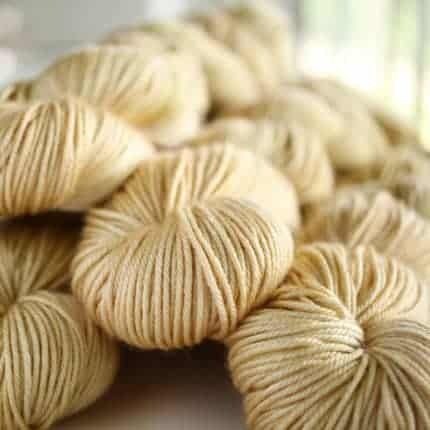 It’s also great to pull out just one or two of the motifs for something small and quick. 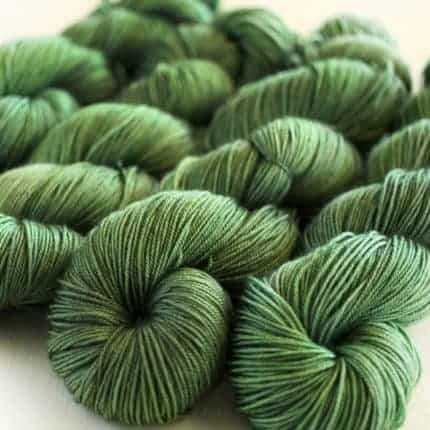 I can absolutely see putting those socks or that adorable alpaca on a project bag! Or how about that fair isle vest? 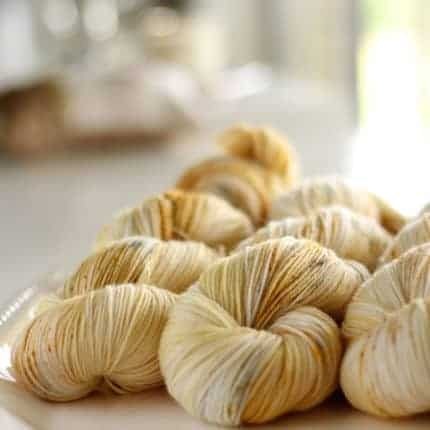 October House Fiber Arts – celebrate quiet colors! 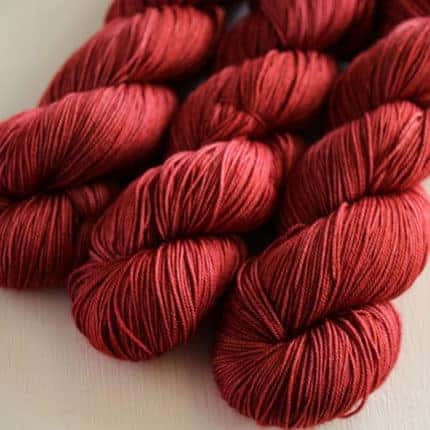 What better way to celebrate fall, knitting season and all things October than with October House Fiber Arts! Named after my favorite month and season, we are turning five years old this month. 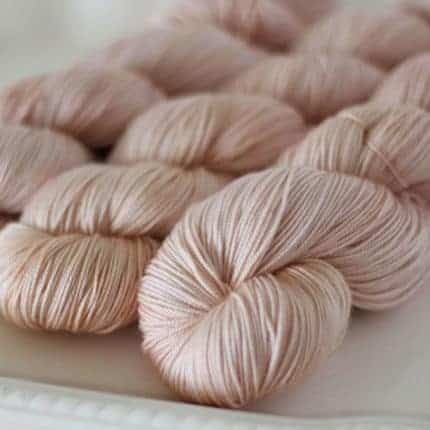 Our yarns are hand dyed in my home studio, and I love subtle and gentle colors. 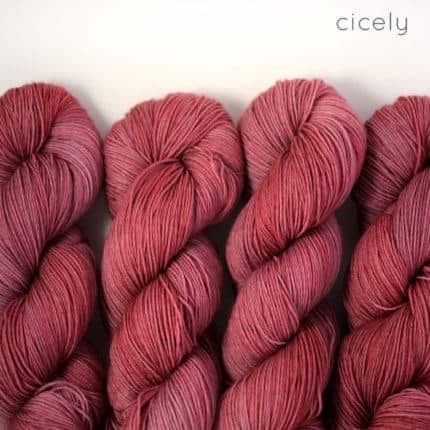 We offer tonal/semisolid as well as more variegated and speckled colorways. 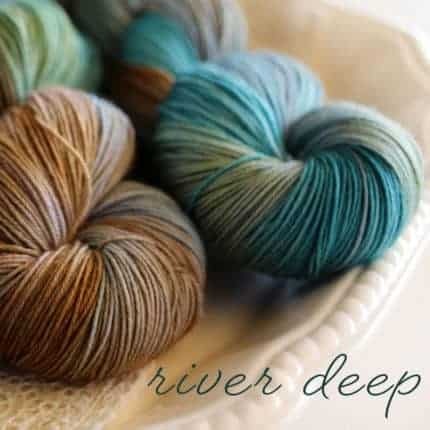 Our shop update today includes a popular colorway, River Deep. 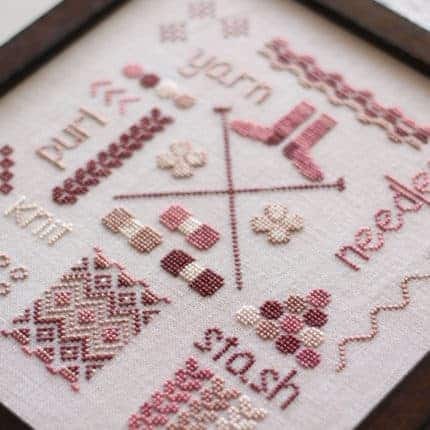 I also design knitting-themed cross stitch designs and kits. Like most knitters, I love all things knitting related and I love having yarny samplers on my walls! As a matter of fact, we have a new design coming out later this month. Our newsletter subscribers get all the up-to-date information, including notice of shop updates, special offers, sales and free stuff. There will be lots going on this month for our anniversary celebration, so hop on over to our website to sign up.